So today while doing some Android development, I ran into an interesting issue. I was testing on the emulator that comes with Android Studio and something I did in my code caused it to crash. 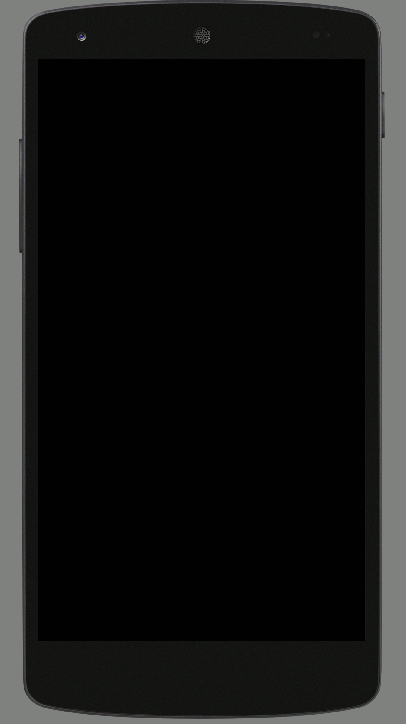 I then corrected the issue but when I tried to run my app in the simulator, it would open up and just display a blank black screen. I tried opening a different virtual device with the emulator but it ended up doing the exact same thing. I found multiple sources listing different fixes for the issue, but none of those seemed to solve my issue. Most were related to adjusting the configured RAM or turning on or off “Use Host GPU”. I even went to the extent of unchecking the emulator in the SDK Manager and then telling it to reinstall. Unfortunately that didn’t help either. After about 45 minutes of trying different solutions, I finally stumbled upon a link that had a very simple solution for the the AVD Emulator being stuck at the black screen. 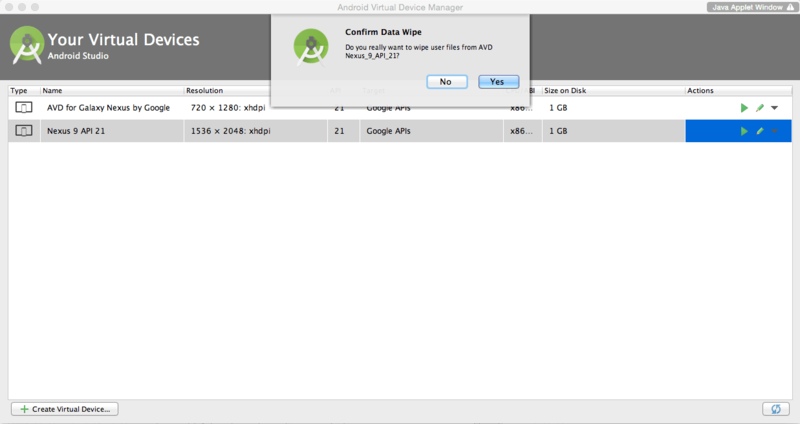 It said to Wipe Data in the AVD Manager. I was very pleased that this did the trick. I was surprised that this answer was not easier to find so I figured I would go ahead and do this write. Hopefully it will make it a little easier for people to find and fix their issue quickly.